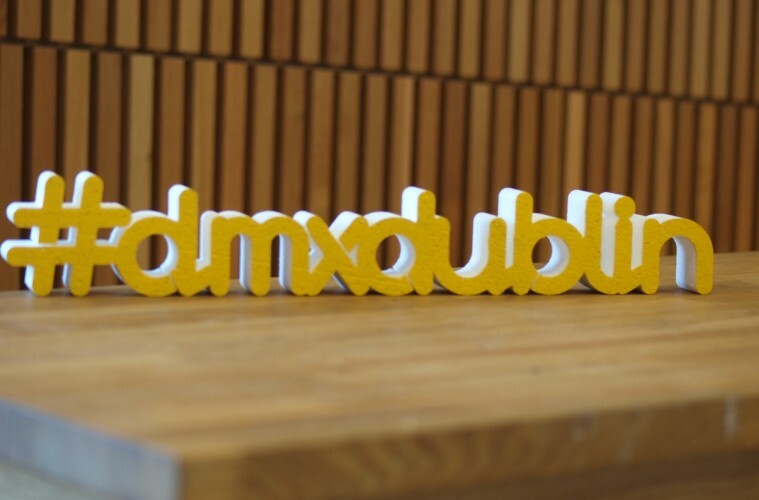 An overview of some of the key trends at the DMX Digital Marketing event at the Aviva @DMXDublin @IrishMarketers . We also hope to bring you more in depth articles on some the key speakers over the coming weeks as well. From the opening speech by Mike Volpe @mvolpe of Hubspot @HubSpot, via the vision of 98FM @98FM to the tweetings of Dennis Bree @dennisbree, again and again it seemed to be all about the value of your story telling. It’s an interesting situation. The more sophisticated the analytics get, the more they can tell us, about what and how we like to ‘consume content’. The more the results illustrate that a good story, often backed up by a good image, is what we want. If you can achieve this, then you had us at hello… (metaphorically at least). It was a useful event, with lots of useful ideas, and approachable speakers. The overview of how Hubspot built up their supply of leads was enlightening. Mike Volpe their CMO, said that in any given month, 50% of their leads might come in from articles written more than a month earlier. This really illustrated how valuable it is to create good articles, that people will continue to find and read, time and time again. Overall there were lots of good ideas going on. One challenge though was that there were four separate threads running. This meant you often had to look long and hard to work out which talks to go to. Also for some of the talks, the titles were a little ambiguous too, so you weren’t always sure what you were letting yourself in for. Fortunately most of the talks we went to were well presented with useful, interesting insights. Ashleigh Smith @EquipAtlantic from The Atlantic Equipment Project told her story well and passionately. Recognising, and illustrating the value of having a compelling story, told clearly. In bite sized form here are Matt Candy’s @matthewcandy key takeaways. To put it bluntly too, in Keith McCormack’s words, CEO of 98FM. It’s reassuring to know that even as more and more digital marketing becomes automated, there is still a niche, and a value for humans who can create interesting, entertaining stories for people to read, for the moment at least anyway!